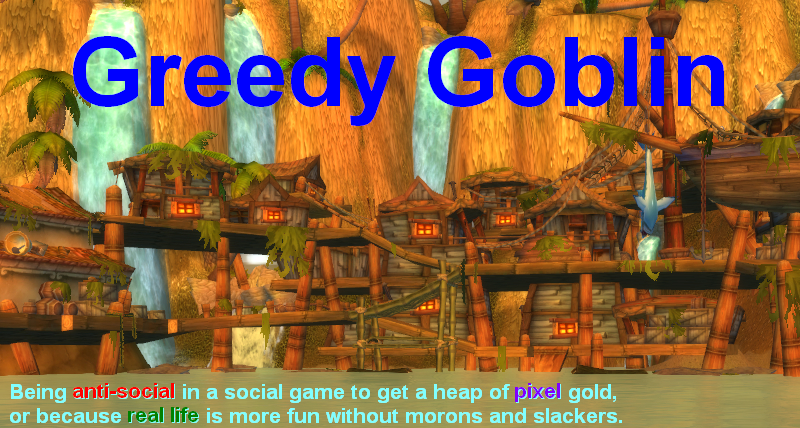 Greedy goblin: Weekend minipost: any more targets? Weekend minipost: any more targets? I was very surprised that there are minions unknown to me. SOLAR FLEET and its feeder alliance has been hiding in CFC Sov, flying together with the evil ones and I didn't know. Initiative associates are feeding ISK into the coffers of minions and I didn't know. These minions evaded the holy wrath of GRR! Not anymore. But there can be more hiding minions. 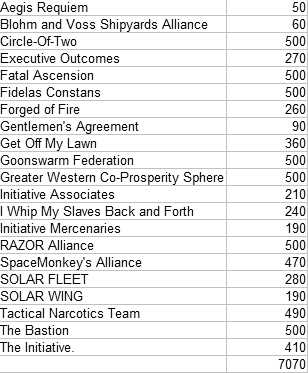 So please look at the war list below and comment if you know anyone who has Sov in CFC space or otherwise cooperating with the evil ones (like with a link to a battle report where they were in the same side). Also, the sum of the war costs worth looking at. I hope that ex-Lemmings understand that I simply couldn't pay it twice. The moron of the day isn't a minion of evil, just an idiot. He went GCC with a failfit Drake. With this pod. Some auxiliary morons: a not-stabbed-enough house slave of the evil and another one who considered it a good idea to autopilot to Amarr in a pod! Finally, look at this beautiful list of kills and Dingo report (BRDOC report) of the battle of D-3GIQ where BL, MoA and Pasta massacred the evil and its minions. WALLTREIPERS ALLIANCE as part of the CFC. WALLT is dead. They have only Sov to finish super build. Hang on - you are going to go to war with everyone who works with/does business with goons? There is a difference between a non-invasion pact like BoTLord and blueing. There is functionally little or no difference between a NIP like BotLord and blueing. NIPs essentially say "we'll have a tickle fight every now and then but nothing of real consequence will ever be risked"
Blues get involved in fights against each other all the time on very very similar terms. NIPs and the like are perhaps worse than blues because they are insidious. They give the outward impression of fights while further driving stagnation on the map. I think you forgot to add Noir. Mercenary Group to that list. They're decced by Marmite Collective right now. Was that paid by you Gevlon? Nope, and I don't really see the point of that dec.